Hank’s Maintenance & Service Co. Ltd. employs knowledgeable field service technicians who have years of experience and know-how. Our technicians and vehicles can be dispatched to your job site to complete on-site maintenance and repairs quickly and effectively. Equipped with boom-cranes, air compressors, advanced tooling, and mobile communications, our field service vehicles are ready to get you back to work in a hurry. Call us during our business hours, or 24/7 in the case of an emergency. If you are looking for industrial, commercial, or oil field parts for your heavy equipment, make sure you contact Hank’s Maintenance & Service Co. Ltd. We have new and used parts that are inspected and tested by our technicians to ensure that you get the parts you need on time and under budget. 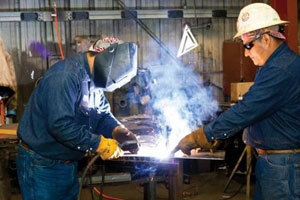 Our welding department is able to offer both onsite repairs as well as shop repairs. 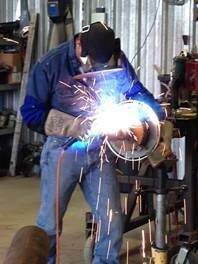 We are able to fabricate skids, stands and make major repair to most any oilfield and industrial equipment. Hank’s Maintenance is proud to employ only Journeyman machinists. We are able to build OEM style pins, bushing and sleeves for all type of pump jacks. 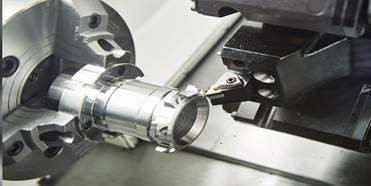 We are also to rebuild all types of fluid ends and power ends in house. If you have a key component to your operation that is non-functional, it can affect the safety, efficiency, and productivity of your business. We can repair or rebuild any part that is causing you trouble with reasonable prices and speedy turnaround time. Lufkin, Ampscot, National, HG, Arrow, Gardner Denver, Kerr, Grunfos, Summit, Weatherford and the list goes on. 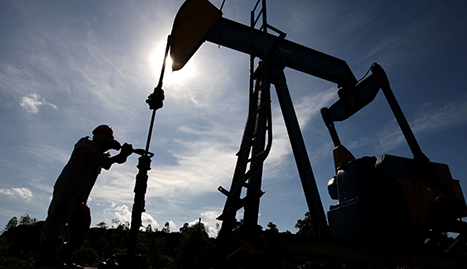 Hank’s has been involved in the oilfield since 1968. We are proud of our long term staff and the extensive experience they have with all types of oilfield maintenance. 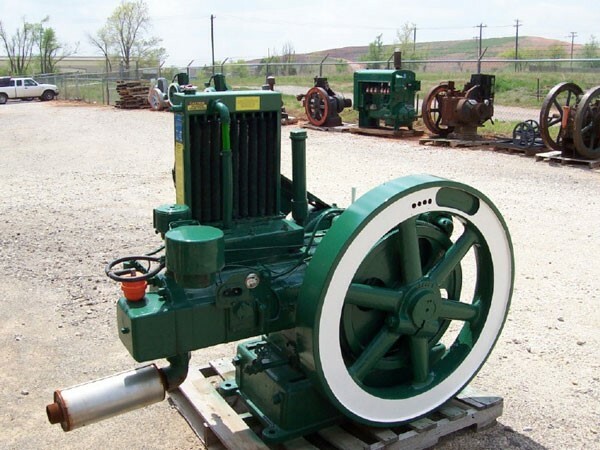 We are able to assist in all aspects of pump unit maintenance, rod rotators, balancing, setting pump units, gear box repairs, engine repair and salt water disposal maintenance. Our fleet of 3 ton units with knuckle pickers and also our 1 ton service trucks will get you up and running any time of the day. “Your one stop pump and engine shop” for all of your pump unit needs. 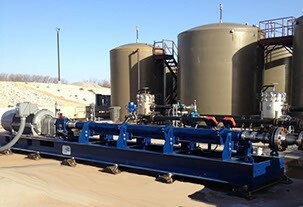 We can assemble, install, and start up pumping equipment. Our expert technicians have experience and training to make sure that their work is done effectively every time. NOW OFFERING TRIPLEX PUMP RENTALS!!! Hank’s can offer all sizes of Arrow engine for rent or purchase. 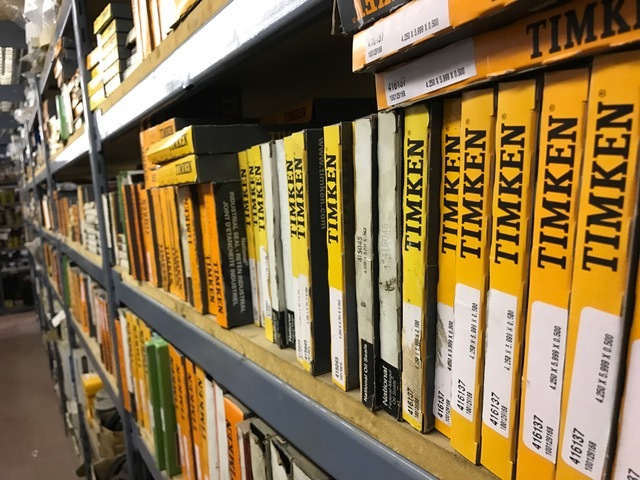 We maintain a large inventory of parts as well as an extensive maintenance program. Currently stocking A62, C66, C96 and C106 engines, clutches, drives and all related parts. We are offering a very aggressive rent to own deal!!! Hank’s is able to supply excellent field service to help install and maintain your disposal and injection pumps. We are maintain a huge inventory of parts for all manufacturers. We also supply a very detailed maintenance program and inspection report to help forecast upcoming costs and repairs. Our techs are well trained on laser alignment, vibration analysis and all types of preventive maintenance ideals. 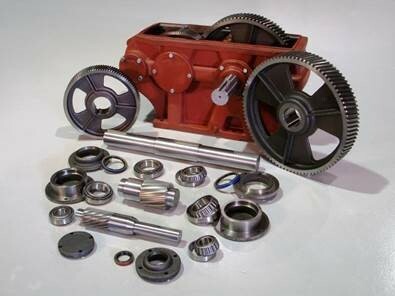 We also have a rotating inventory of new and used pumps, pump skids and reman major components. Hank’s Maintenance & Service Co. Ltd.
Hank's Maintenance & Service Company Ltd is a private company located in Estevan, SK, Canada, and is categorized under servicing the Oil and Gas industry and providing Industrial Maintenance.